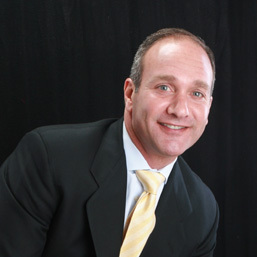 Mark is the Chief Operating Officer and co-founder of GAM Hospitality specializes in Asset and Revenue Management. Specializes in owner relations, profitability, and project improvement oversight. Mark brings to GAM extensive analytical and management skills, providing expertise in directing multi-unit properties from full service to select service Boutique hotels. His leadership creates a team process that is focused on the daily impact of guest service, generating revenue and managing the costs to create the highest return for the ownership. Mark assists overseeing all investments and major transactions for the new acquisitions, including partnership and liabilities. He also participates on strategic growth initiatives and overall business development for GAM. In efforts of staying one step ahead of the competition Mark plays an integral role by providing accounting, internal control systems design and analysis, strategic planning, corporate finance, and management advisory services. Mark currently manages hotels throughout the United States and Mark focus on driving revenue into these hotels. Mark follows the principle that Revenue Management is a business process designed to optimize the performance of an asset through all market conditions, while price-value considerations need to be made, demand and supply, forecasting, customer segmentation, leveraging product types (i.e. suites versus standard rooms), channel mix, internal communication of strategy and inventory controls all need to be factored in. This formula has proven successful for GAM properties in the most competitive markets. With a specialty managing urban Independent Boutique Hotels and destination Boutique Hotels, Mark’s affiliations and relationships are numerous. He maintains advisory roles with several On Line Travel Companies, wholesalers, Tour & Travel Operators and Travel Agencies. Thru these strong relationships, he is able to keep current on emerging trends and changes in market demand. Mark was a Principal with The Melrose Hotel Corporation and the Senior Vice President of Operations for the company. He was responsible for defining the brand, acquisitions, repositioning and re-branding of new hotels, all capital improvements, all accounting functions, technology, daily operations and strategic planning. In 1995, Mr. Lahood joined the Great Southern Hotel in Columbus, OH as general manager. After a $9 million renovation, the hotel was converted to a Westin franchise and achieved an AAA Four Diamond rating. The hotel was then awarded the 1997 Westin Leadership award for quality and the Elite Hotel award for outstanding meetings and conventions. In the spring of 1999, Mr. Lahood was appointed general manager of The Melrose Hotel, Dallas, where he oversaw a multi-million-dollar renovation before moving to corporate headquarters of The Melrose Hotel Company in Philadelphia.